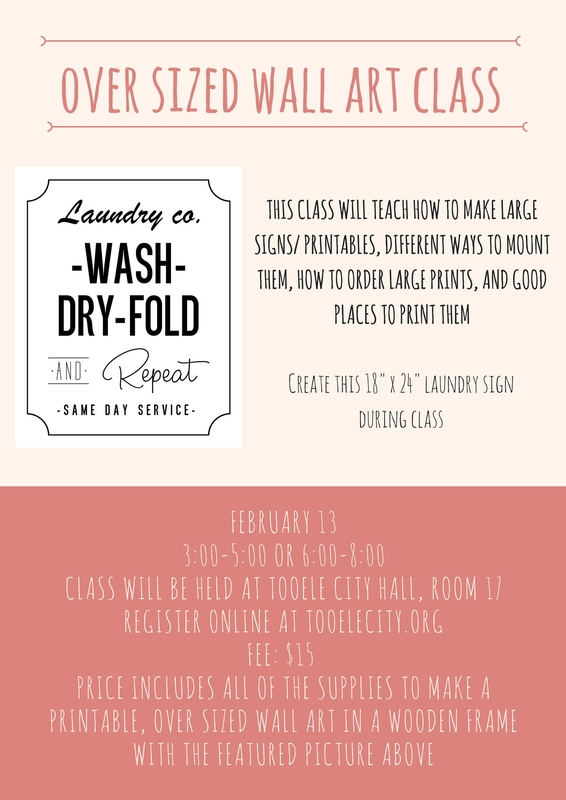 Join the Tooele City Arts Council for the “Over Sized Wall Art Class”. For only $15 you will learn how to make large signs/printable, different ways to mount them, how to order large prints, and good places to print them. The price includes all of the supplies to make an 18″ x 24″ over sized, framed, “Laundry” sign!